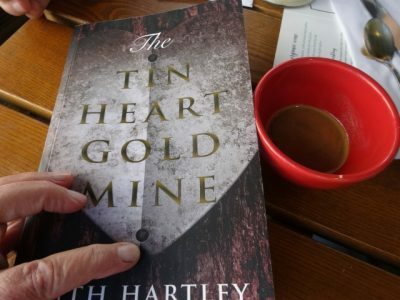 The Tin Heart Gold Mine is, first of all, a love story. It is the love story of Lara and Oscar and it is the love story of Lara and Tim and it is also a story set in Zambia, a place I love, which in the book I call Chambeshi. I have other agendas as all writers do – I wanted my story to show something different. In The Tin Heart Gold Mine there’s a new angle on Africa – war is part of it as it was of my life. By the way – this is a photo of me smiling. I’m not giving up writing, even if it is tough – it won’t let me – I have to do it. It was a tin heart nailed to a tree on a 1914 – 1918 war cemetery in Zimbabwe that was the germ for this story. The book cover is from a photograph of that tin heart. Of course there is so much more that has provided the background to the novel – the beauty of Zambia, the complexity of the politics of the Cold War and, of course, the international trade in illegal gemstones and ivory. 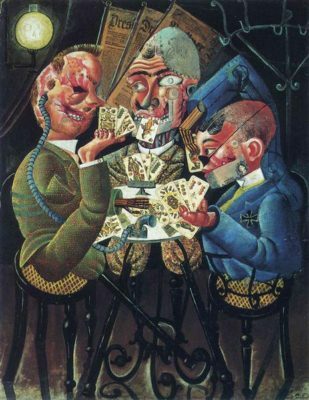 There’s mention of Otto Dix and his grim paintings about the horrors of the First World War – that’s why Armistice Day is important. Hitler banned this kind of art as degenerate because it shows how awful war is. My story though, centres on Lara the artist and her lovers. We all take things for granted. This is evident in our grasp of history. We may know dates and facts but we don’t always understand how or why things happened. Today, the 11th. November – Armistice Day – is the day when the First World War, which we hoped would be the last war ever, ended. Few people realise that the Germans in Tanganyika under Colonel Von Lettow-Vorbeck were not defeated in the First World War African campaign and that it caused millions of African deaths. Few people know that the Burma Campaign in the Second World War was fought and won with African troops. Few people appreciate that 100s of years of European Wars have directly affected Africa and that displaced Europeans and British refugees from European wars chose to come to Africa. It was not only colonial settlers with imperial ambitions who made their homes in places like Zambia.This history is the background to The Tin Heart Gold Mine and explains the character of Oscar, himself a European refugee. Hugh Macmillan’s book Zion in Africa is about this history. William Boyd’s An Icecream War and Karen Blixen’s Out of Africa also deal with this period. Griff Rhys-Jones has made a documentary about the Burma Campaign and his father. 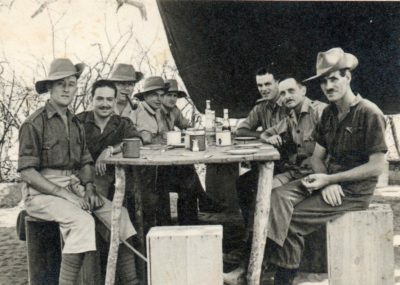 My father served with the Gold Coast Regiment like Griff Rhys Jones’ dad but he was not sent to Burma because he became ill with malaria. Keggie Carew’s memoir, Dadland, is about her father’s time in Burma. 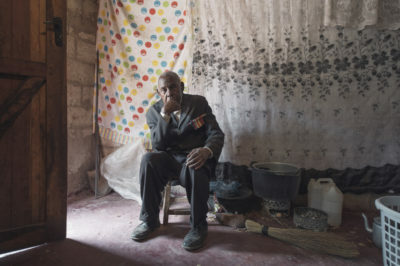 The photographic book Extraordinary Zambia has a picture of a Burma veteran called Aaron Katonga (pictured alongside). 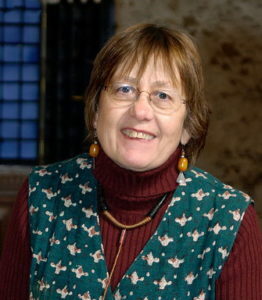 I shall be posting fewer blogs over the next months as I’m very busy – I am working hard on rewriting two of my books after some encouraging input from two professional editors. I hope also to publish some poetry – and perhaps you may want to read that too. A very apt link Ruth. There are lonely graves of First World War soldiers dotted along the Northern border of Zambia. Many date from the 1915 attack on Mbala from Kasanga on Lake Tanganyika. Other graves are on the German line of advance in 1918. The Pioneer Cemetery in Mbala held a number of such graves before their removal to the War Graves Cemetery in Ndola. This incursion into the Northern Province in 1918 was the Germans’ last gasp. General Von Lettow Vorbeck was attempting to escape through Rhodesia to the previous German colony of South West Africa [Namibia] via the Caprivi strip. The rest of their forces had been cleared from East Africa by this date. There are plans for a Commemoration of the Centennial of the Germans’ final surrender to take place in Mbala on the 25th November 2017.
commemoration – do you think you might go? Yes Ruth I am planning to go. The problem is the limited accomodation in Mbala and that the bigwigs will corner the best places! James may also come with me. Seems the best oppertunity to take one last look. Apart from the battle fields etc. there is splendid secenery and waterfalls etc. A very interesting article Ruth. All war is barbaric and I am surprised by the comment Hitler made about Otto Dix. Good luck with all your rewriting. Meant to say lovely photo of you! The docs also note that Women were paid less than men of equivalent rank (surprise, surprise!). I wonder if the proposed investigation can possibly result in recompense of any kind?